Washington, Jan. 8. -- The following has been announced at the treasury department: Luman T. Hoy, to be appraiser of merchandise in the district of Chicago, vice Horace H. Thomas, removed. Source: Rock Island Argus 8 Jan 1904, page 1, column 4. Chicago, Jan. 9. -- Although Luman T. Hoy has been nominated to succeed General Horace T. (sic) Thomas as appraiser of customs at this port, the resignation of General Thomas, requested by the secretary of the treasurer (sic), has not been sent in, nor will it be. General Thomas will appeal to the president to find out why his resignation was asked for. In a letter to the secretary of the treasury calling for General Thomas' resignation it is stated that the purpose is not to make a place for another and that here is nothing political in the request; that the office has been temporarily examined twice, and it seems necessary to secure a vigorous administation. General Thomas in reply says that there was no charge of misfeasance, or malfeasance, or any scandal, and that especially good work had been done in unearthing frauds at other ports. He also wrote the president calling attention to the gentlemen who indorses him as appraiser. No reply was received from the president, but Secretary Shaw asked the general to advise him by telegraph whether his letter was intended as a refusal to send in his resignation. Source: Rock Island Argus, 9 Jan, 1904, page 1, column 4. Gen. Horace H. Thomas employed recently in the office of the Valuer of the port of Chicago was fired probably due to his inability to work due to his advanced age. He was a widower and lived with friends at 346 Washington Boulevard. Without any assets, he tried to get some new employment by all means. As he could not find a job, he applied for a pension. Yesterday he came to the office of a lawyer J.E. Abell to find out if his application was effective. When he came in, he was visibly tired and sat down on the chair for a moment, unable to speak. Then, breathing with difficulty, he said: "I came to ask what about my pension." When he said that, his head dropped to the table and he was dead. Gen. Thomas was 73 years old. He came from Vermont. He arrived in Chicago in 1895 (sic - probably 1859). He studied law here, and in 1863 he joined the 18th Tennessee Infantry Regiment and during the Civil War he was so bold that he promoted quickly, and in 1864 he was promoted captain and assistant adjutant general in Knoxville. 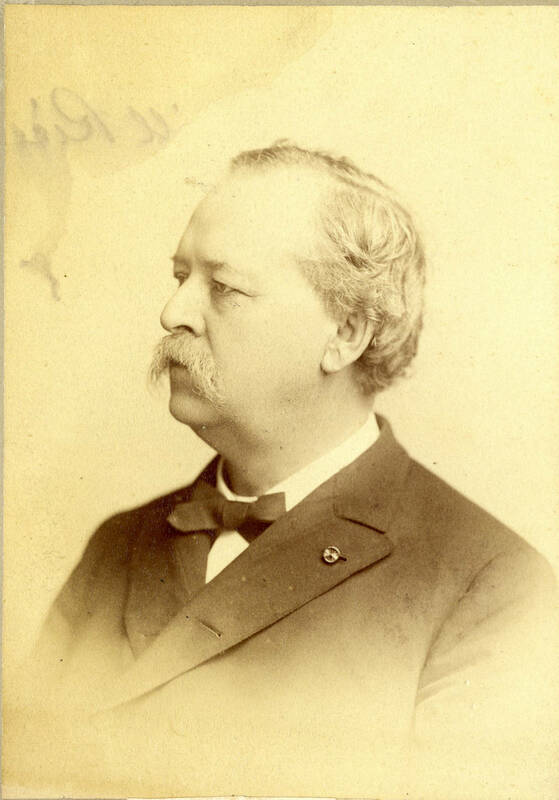 After the war he returned to Chicago, he took part in politics, he was a state senator in his time, and before that, he was a speaker in the chamber of deputies (State House of Representatives) in 1881. He was appointed an official in the Valuer's office by President McKinley seven years ago, but he lost his job a few weeks ago. We appreciate the above translation courtesy of Kornel Kornik Nowicki.